Most enterprises experiencing – or preparing for – strong growth will soon find themselves in need of venture funding over and above what can be accessed from cash flow alone. Depending on the stage of growth, the traditional funding sources externally available to businesses are Government Grants, Angel Investors, Venture Capital Funds and Private Equity firms, Corporate Investors and Banks. 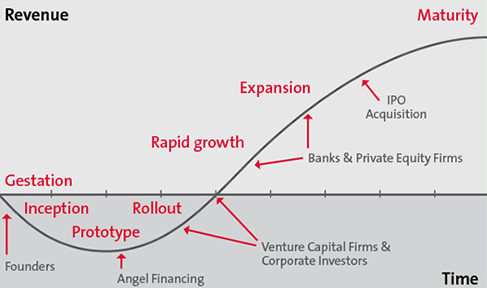 In order to attract funding from one or more of these sources, the enterprise needs to prepare itself so that it can meet the formal and informal investment criteria of the individual funding provider; successfully pass their Due Diligence process; negotiate a fair and equitable deal and ultimately, win the confidence and long-term support of their financier. This means reducing risk and demonstrating real value, as perceived by the fund provider being targeted. Raising venture funding from Angel Investors and Venture Capital Firms is both an art and a science and requires a markedly different approach to each. The most important thing in each instance is for the entrepreneur/business owner to personally develop – and passionately own – a robust business plan that demonstrates a clear strategy to attack a well-defined market opportunity, with revenue growth driven by realistic assumptions. It is also important to be able to detail how much capital is required; what it will be used for; how long it will last; how much will be needed in the following round(s); what the proposed exit strategy is; when is the exit anticipated; and how much equity is being offered to the investor in return for their money. In approaching Angel and Venture Capital investors, it is important to understand their investment preferences and criteria, as well as the size of investment they are willing to make. Getting ready for funding and successfully marketing the equity of a venture takes strategic planning, diligent preparation and a thorough understanding of your target funder’s expectations. By combining the principles of Venture Capital, Private Equity and Strategic Operational Planning with entrepreneurial and senior executive experience, Twoeyes has what it takes to develop and prepare a business for growth and venture funding, right through to successful trade sale. We have personally started high growth ventures that have successfully attracted venture funding and attained ‘trade sale’ status. Since 2000, we have actively built and developed a quality network of private equity and corporate investors, experienced service providers and government representatives. For a confidential, obligation-free meeting to discuss how Twoeyes can help your company prepare for capital raising, you are invited to contact Twoeyes Managing Director, Conor McKenna, directly on 0402 264 670 or email [email protected].